A classic elegant and very spacious apartment in San Telmo, one of Buenos Aires oldest neighbourhoods. 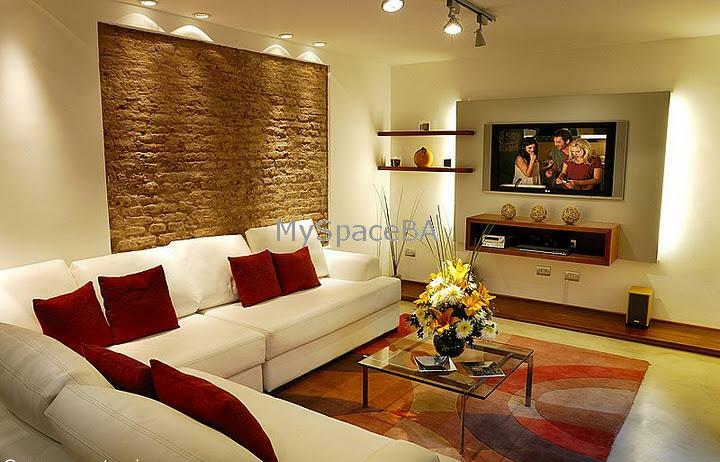 This apartment is the ideal choice whether you are a couple (or two), an executive or an entire family. Up to 4 guests can be accommodated comfortably. The master bedroom has a king size bed and the second bedroom can be configured with two separate beds or a regular king size, using the specially designed bed system. Both bedrooms have large wardrobes and plenty of storage space including safety deposit boxes. Each bedroom has its own private en-suite bathroom. The apartment includes a large patio area for outside entertaining and dining. The living room has a 42' Plasma TV with DVD, Digital cable television and stereo system. It also has a large sofa, glass dining table for 6 people and an additional toilet downstairs. The apartment features custom-made furniture of the highest quality. The apartment is air conditioned. High-speed Internet access and weekly maid service is also included. Indoor Size: 105 sq. meters (1,184 sq. feet) Outdoor Size: 25 sq. meters (269 sq. feet) A 42' Plasma TV with DVD, Digital cable television and stereo system. This contemporary chic and very spacious apartment is located within a historic San Telmo property in Defensa Street, famous for its restaurants, Sunday street market, chic boutiques and antique shops. Just moments away from Plaza Dorrego where you can relax watching open air tango while enjoying a cool drink. Walk a few blocks east and you are in Puerto Madero, where you can enjoy waterfront restaurants cafes and nightlife. Included: All expenses are paid by the owner.